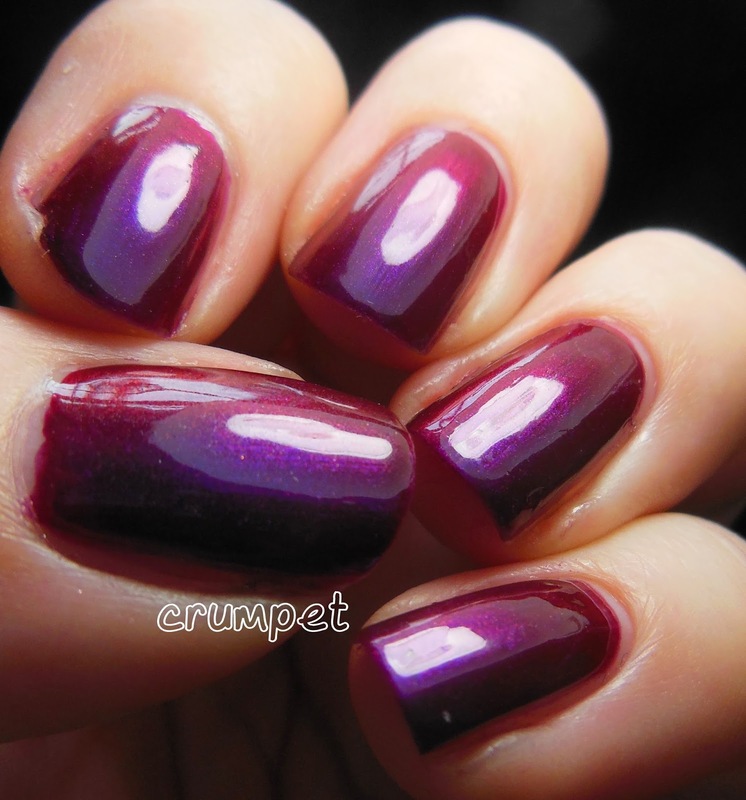 Every once in a while, there is a polish so special, so gorgeous, so breath-taking, that even *I*, The Crumpet, cannot find enough ooohs and aaaahs to describe it. 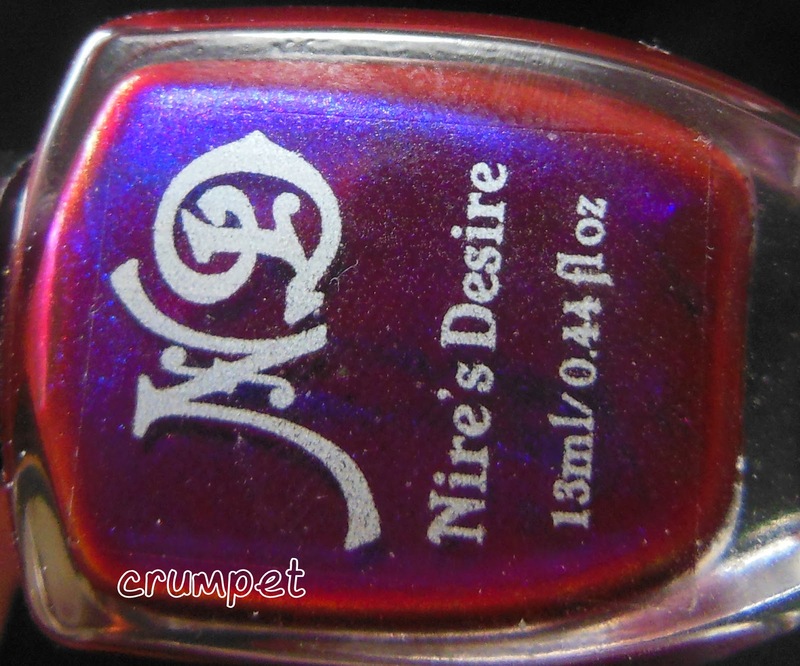 I've already reviewed a few polishes this year that have gone straight into my "Top 10 of The Year" list, and here's another, the jaw-dropping Prana, by Nire's Desires. Duochromes? I'm kind of meh about them. I don't like that most of them, at some point, bend to a colour I detest, so I feel I can't control what's on my nails lol. 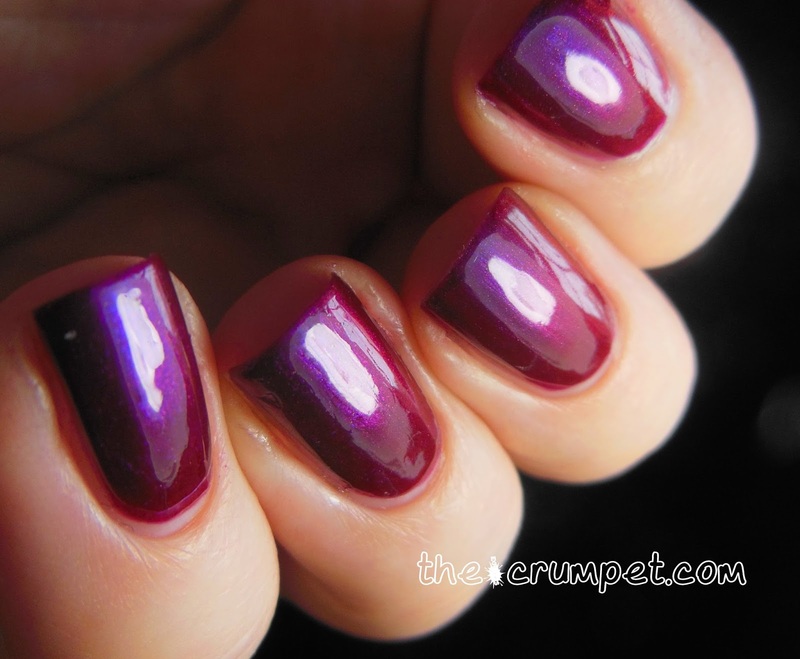 However, give me a purple-red duochrome and I roll over and beg for my tummy to be tickled. 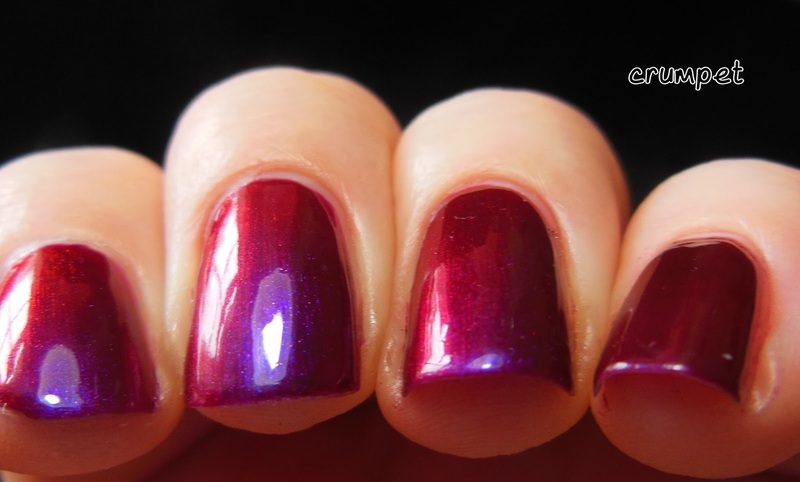 I have owned HITS So Unique (very good), ILNP Undenied (kinda meh), Crows Toes Indian Summer (similar but subtly different), but Prana beats them all. Not by a little, but by a lo-o-o-ot. By a mile. A million miles. A galaxy. A wormhole black hole kind of thing. A lot. 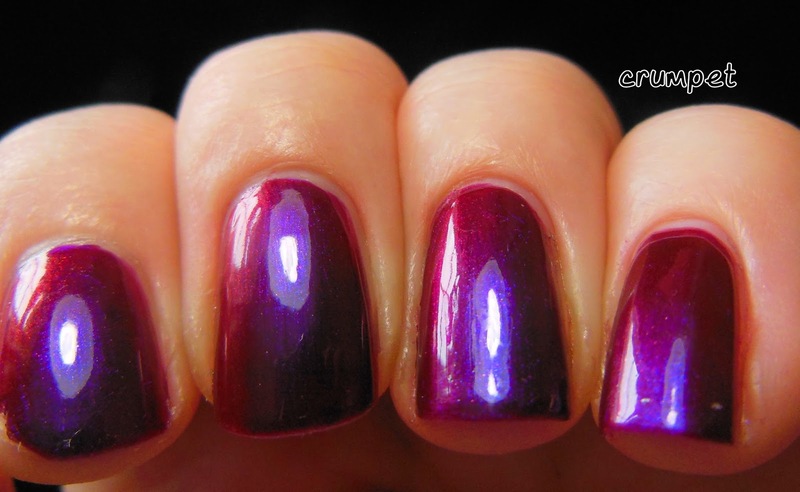 This duochrome hugs the red to purple universe in a loving embrace, from ruby to burgundy to violet to damson to every shade in between. AND it occasionally shakes some electric blue shimmer at you. * the formula. So so baby smooth. Nothing nasty or metallic about it. Pure cremey goodness. * the bend. It actually bends. Not when your hand is underwater, rotated up your back and with you squinting from behind your knees - you can sit and play with this one like you would a holo. It loves to play. It's kitten happy. * the balance. THIS is the pay-off. 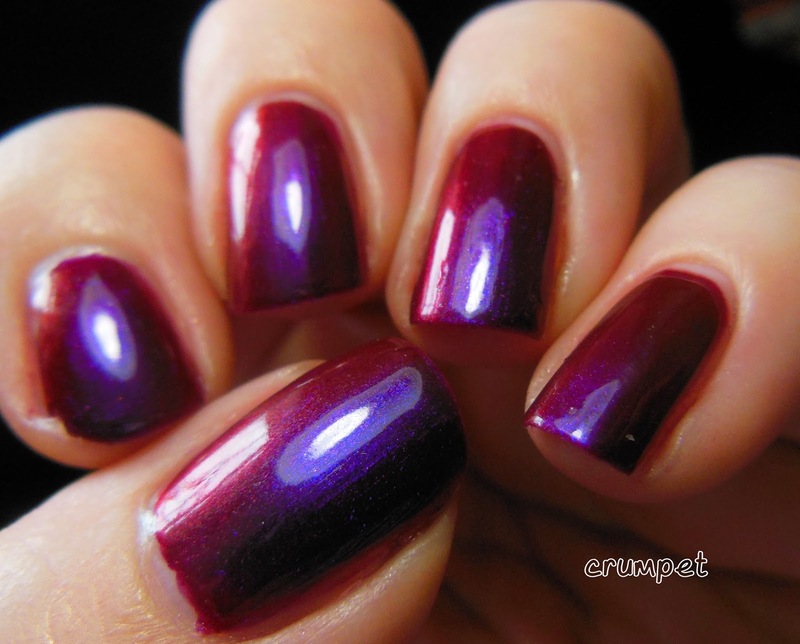 Usually, duochromes have a "resting" state, and then their alternate colour. The resting state is present 80% of the time, and only unusual angles or lighting bring the other - and it's usually the more interesting - colour to the fore. 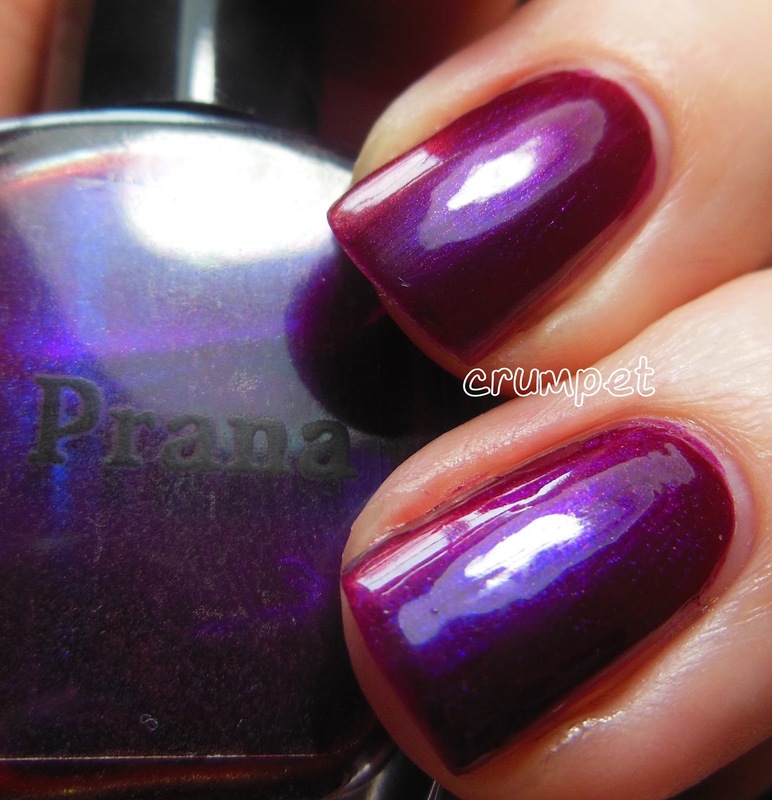 Well Prana is perfectly balanced, 50/50 between red and purple. Sometimes it's red. Sometimes it's purple. It's equally both, and THAT is why it's a work of genius. 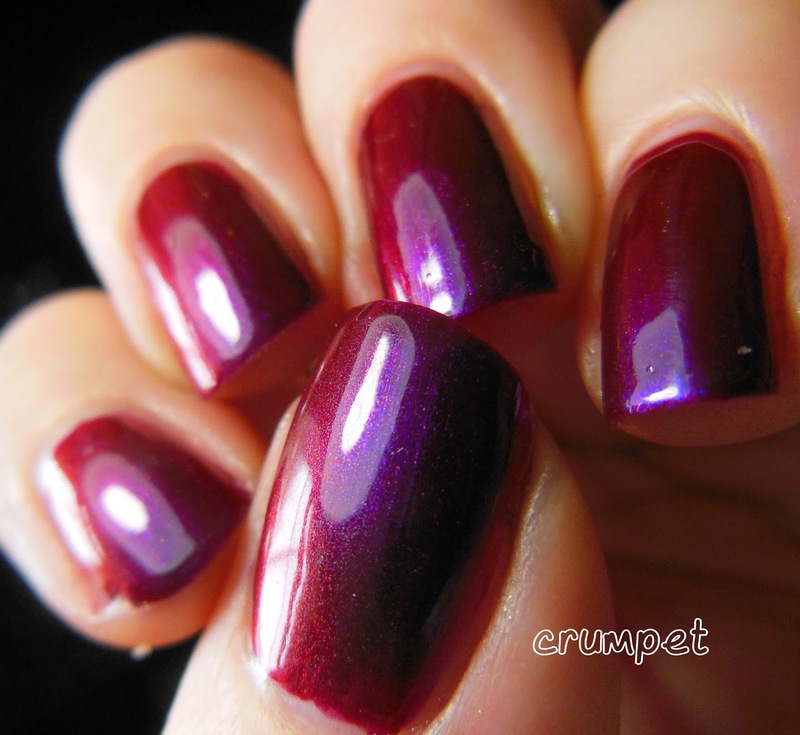 Over the next few days, you can see some stamping over Prana, and also an intensive comparison with Crows Toes Indian Summer.